Some thought on how landscape in understood and idealised. In late August 1928 two Camden colonial families celebrated the marriage of Keith Whiteman to Alice Margaret (Marge) McIntosh. This was an important local wedding between two local families of some importance and social status. The McIntoshes conducted a very successful dairy operation on the family property of Denbigh at Cobbitty, while the Whiteman family were successful Camden retailers. Both families had colonial origins. Members of the Whiteman family had immigrated to New South Wales in 1839 from Sussex to work on Camden Park Estate. 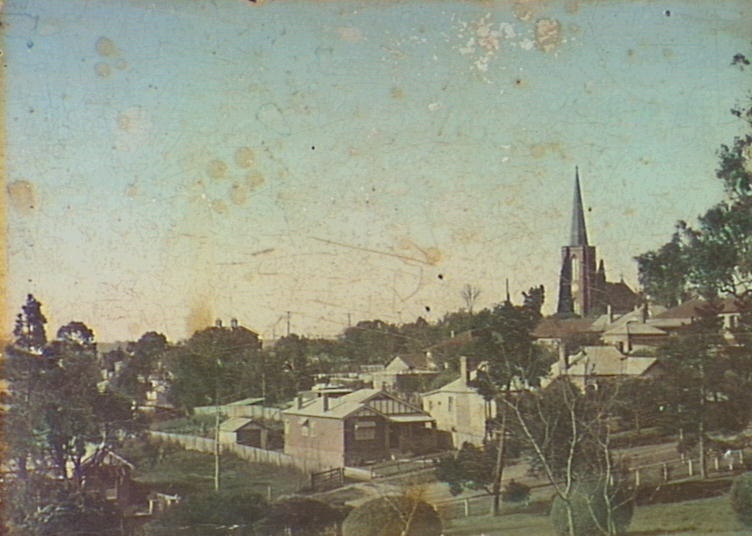 While the McIntoshes had immigrated to New South Wales from the Inverness region of the Scottish Highlands in the 1860s. The wedding ceremony was a relatively small country wedding of 60 guests given the social profile and economic position of both families. The wedding ceremony was held in the historic setting of St Pauls Anglican Church at Cobbitty. St Pauls was the centre of village of Cobbitty and an expression of its Englishness, which was typical of a number of villages across the Camden District. The church was originally built under the direction of Galloping Parson Thomas Hassall in 1842 and adjacent to his 1828 Heber Chapel. The church was decorated with a simple floral arrangement of white flowers and asparagus fern, according to the press reports (CN 20 Sept 1928). The white flowers for the August wedding were likely to have been, according to Angela Wannet of Butterflies Florist in Camden, local calla lillies, oriental lillies, and carnations with trailing ivy. The floral displays in the church, while not elaborate, indicated that the families did not spare any expense on this important family celebration. 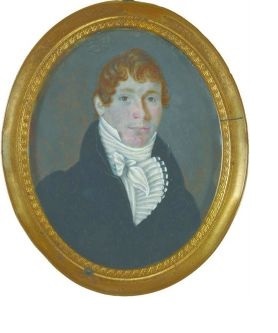 Cobbitty born 33 year old bride Marge McIntosh was the fourth child of Andrew and Ada McIntosh of the colonial property of Denbigh at Cobbitty. Denbigh is one of the oldest gentry properties on the Cowpastures and listed on the state heritage register. It was originally an 1812 land grant to Charles Hook, then by the Galloping Parson Thomas Hassall (1826-1886) followed by the McIntosh family. The family first leased the property in 1868 and then purchased it off the Hassall family in 1886. The State Heritage Inventory States that the house and property ‘retains a curtilage and setting of exceptional historic and aesthetic significance’. Camden born 28 year old bridegroom Keith Whiteman was the second child of Fred and Edith Whiteman of Melrose at 69 John Street, Camden. Melrose was a significant Edwardian brick cottage on John Street Camden. The Whiteman family had significant business interests in Argyle Street Camden including a general store and newsagency. Keith and his brother Charles gained control of the general store 12 months after Keith’s wedding on the death of father Fred. The original Whiteman’s general opened in Oxley Street in 1877, and later moved to Argyle Street. It was according The Land Magazine ‘reminiscent of the traditional country department store’. (28 February 1991) and at the time of the report on the oldest family-owned department stores in Australia. We are lucky to have a wonderful photograph of the bride Marge McIntosh in her wedding gown at Denbigh. It provide many clues to the importance of the wedding to both families and their no-nonsense approach to life. While not an extravagant wedding the bride’s outfit reflects that no expense was spared on the gown and floral decorations for the bouquet and the church decorations. The design of the outfits, as described in the press reports and in the photograph, reflect the influence of modernism and the fashions from Paris and London. This was a moderne wedding in the country between two individuals of some social status. The fashions worn by the wedding party, according to the press reports of the day, were the height of modernism. The bride wore a classic 1920s design described as a ‘simple frock of ivory Mariette over crepe-de-chen’ of light weight silk crepe as a backing, which was quite expensive. The made-to-order gown was fitted and, according to one source, likely to be hand-made by a Sydney-based dressmaker. The Mariette style of wedding gown is still a popular choice in England for brides-to-be if wedding blogs are any indicator of trends. The bride’s gown was a fashionable length for 1928 with the hemline just below the knee. The bride’s veil was white tulle, with a bouquet of pink and white carnations. The bride’s shoes have been described by one local source in the shoe industry as a hand-made white leather shoe, with a strap, and a three inch heel. They would have likely been hand-made by one of the four or five Sydney shoe firms of the day, some of which were located around Marrickville. Marge McIntosh wore a headdress of a ‘clothe’ veil style, which was popular at the time. The veil was ‘white tulle mounted over pink, formed the train and held in place with a coronet of orange blossom and silver’. The elaborate wedding floral bouquet, according to press reports, were made up of white and pink carnations and according to Angela Wannet who viewed the brides wedding photo was complemented by lillies and fern. The history of wedding robes as a part of the celebration of the wedding festivities dates back the ancient Chinese and Roman civilizations. The first recorded mention of the white wedding dress in European history is 1406 when the English Princess Philippa married Scandinavian King Eric. In the British Empire the Industrial Revolution and the marriage of Queen Victoria to her first cousin Prince Albert in 1840 changed all that. The fitted wedding dress with a voluminous full skirt became the rage after their wedding. The British population romanticized their relationship and young women rushed to copy their Queen. The beauty of the bride was enhanced with the rise of wedding photography and did much to popularise the white-wedding dress trend. Our moderne bride at Cobbitty was attended by her sister Etta (Tottie) McIntosh in a frock of apricot georgette, and the bridegroom’s sister Muriel Whiteman who wore a blue georgette, with hats and bouquets toned with their frocks. Georgette is a sheer fabric with a good sheen that is difficult to work, and requires a good dressmaker. The fabric is difficult to cut out and sew, and according to one source is easy to snag. The dressmaker exhibited her skill and experience with her handcrafted sewing, if the wedding photo of the bride, Marge McIntosh, is anything to go by. The groom had his brother Charles Whiteman act as best man, and an old school friend from Albury Mr T Hewish as groomsman. The wedding guests retired to a reception at the McIntosh’s historic colonial property of Denbigh, where the bride and groom were honoured with the ‘usual toasts’ and many congratulatory telegrams. A master of ceremony would have stuck to a traditional wedding reception with introduction of the bride and groom, then toasts, with a response speech from the father of the bride, more toasts, responses by groom’s father, followed by the reading of telegrams. The McIntosh family household would have likely provided the catering for the wedding. Amongst the wedding gifts was a rose bowl from the Camden Tennis Club and a silver entre dish from the staff at FC Whiteman & Sons. These gifts reflect the interests and importance of the bride and groom in these organisations. Tennis was a popular pastime in the Camden area in the 1920s and some Camden tennis players did well at a state level in competitions. The entre dish would have been a plain design reflecting the influence of 1920s modern styling, rather than the ornate design typical of Victorian silverware. The bride’s going away outfit was ‘a smart model dress of navy blue and a small green hat’. This would likely have been a fitted design typical of the style typical of the period and the influence of modernism in fashions in London and Paris. The bride and groom left for a motoring honeymoon spent touring after the wedding festivities. In the 1920s motor touring was just starting to gain popularity as cars became more common and roads improved. Coastal locations and mountain retreats with their crisp cool air at in August were popular touring destinations in the 1920s. The wedding photograph of Marge McIntosh in her bridal gown, like historical photographs in general, is a snapshot in time. The image provides a level of meaning that contemporary written reports in the Camden press does not contain. The photograph provides subtle detail that can fill out the story in great detail to the inquisitive researcher. While the wedding reports did not make the social pages of the Sydney press it does not understate the importance of this union at a local level in the Camden community. It would be interesting to speculate if there were similar weddings between other Camden families. The visual and written reports of the wedding give a new insight into life in Camden in the 1920s and how the community was subject to external transnational influences from all corners of the globe. Many claim that country towns like Camden were closed communities and in many respects that is true. For these two Camden families, they were subject to the forces of international fashion as well as those of maintaining the social sensibilities of their community. The origins of Singapore are based on British imperial interests with the East India Company in 1819 when British statesman Sir Thomas Stamford Raffles negotiated a treaty with the Johor Sultanate which allowed the British to found a trading port on the island. Initially Singapore was administered from Bengal by the East India Company. Singapore gained its independence after the Second World War in the 1960s, initially as part of Malaysia 1963, then as the Republic of Singapore in 1965. 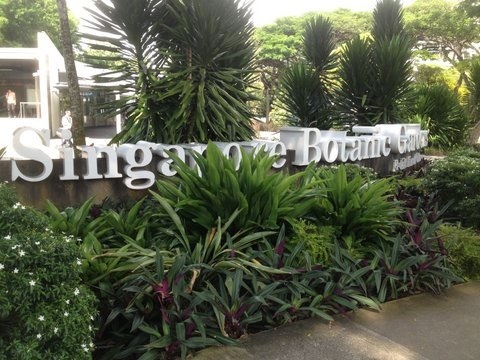 Early in his Singapore visit the CHN blogger took in a visit to Singapore’s first UNESCO World Heritage Site in 2015, the Singapore Botanic Gardens. 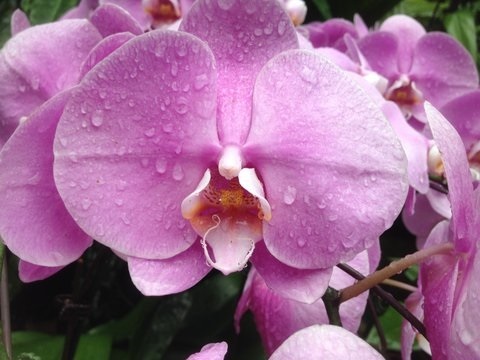 It is the first botanic garden to be recognised in this fashion. The 74 hectare gardens contain a remnant of rainforest that is listed as the country’s most valuable historic asset, along with a surrounding buffer zone. The gardens have a rich past connected the commercialisation of nutmeg, cloves, gambier, pepper, and sago. One of the first buildings on the site was a parade ground and bandstand in 1860, with current bandstand built in 1930. 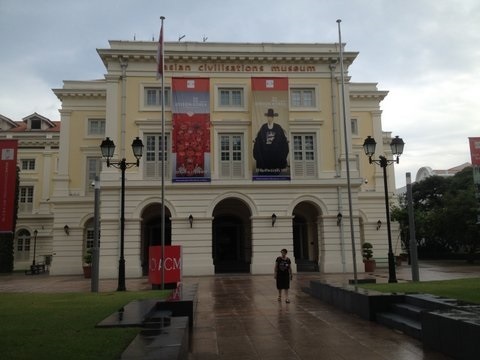 The National Museum of Singapore is the oldest museum in Singapore. Its history dates back to 1849, when it was started as a section of a library at Singapore Institution and called the Raffles Library and Museum. After re-furbishment it was re-opened in 2006. 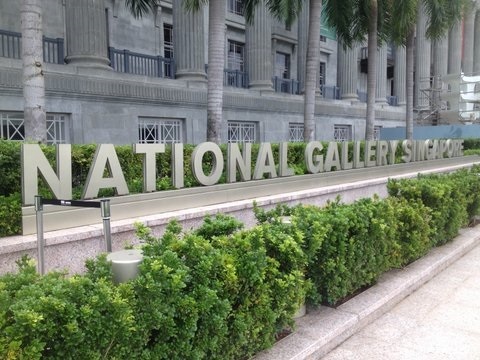 National Gallery Singapore occupies two national monuments: former Supreme Court (1937)and City Hall (1929). Restoration works on the Supreme Court’s tympanum commenced and opened in 2015. The parliament building was originally constructed in 1827 as a merchant’s home on the administrative side of the Singapore River and is the oldest surviving public building in Singapore. 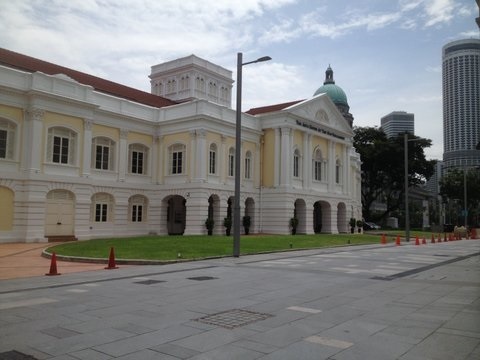 It served as the seat of the Legislative Assembly from 1955 and 1963 and was representative of the life and struggles of the people of Singapore on the road to their independence. From 1963 to 1965 Singapore was only a state assembly. After independence in 1965 the building was renamed Parliament House. Singapore has a number of precincts based on their ethnic origins and Little India is one of these. 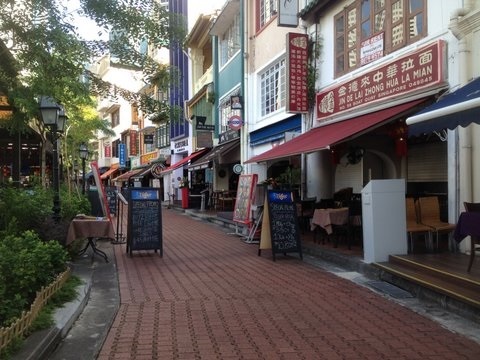 The precinct is 13 hectares and has 900 colonial buildings and its main arterial street Serangoon Road is one of the earliest streets in Singapore. Indian immigrants started to live in the area from the 1820s. 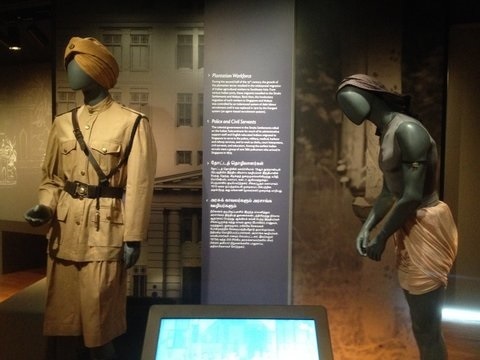 The Indian Heritage Centre (IHC), under the management of the National Heritage Board and with support from the Indian community, traces the history of the Indian and South Asian communities in the Southeast Asian region. The building was opened in 2015. This is an arcade of a cluster of conserved neoclassical shopfronts built in 1913. The building is currently owned by the Hindu Endowments Board. The current building was re-opened in 1995 to preserve the spirit of commerce of the district’s early Indian traders. The building contains the five-foot-way typical of Malaya’s colonial era shophouses. The street architecture of Chinatown’s buildings, the shophouses especially, combine different elements of baroque architecture and Victorian architecture and do not have a single classification. Chinese started living in the area from 1819. 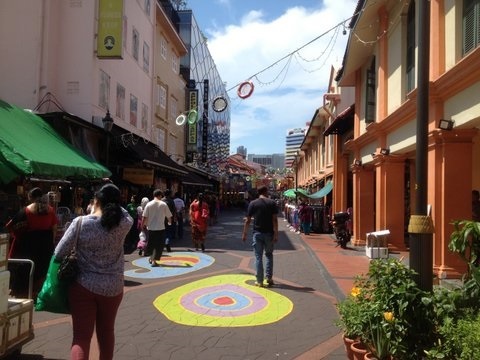 Trengganu Street, Pagoda Street and Temple Street are such examples of this architecture, as well as development in Upper Cross Street and the houses in Club Street. Boat Quay was once a slave market along the Singapore River, Boat Quay has the most mixed-style shophouses on the island. 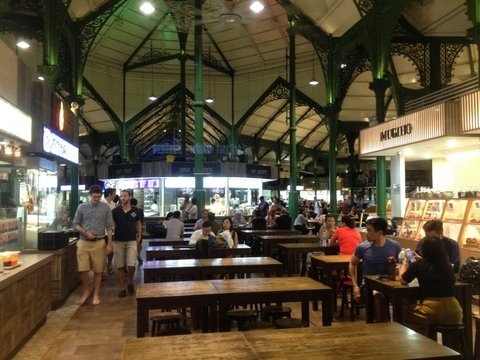 The original Telok Ayer market was one of the oldest markets in Singapore and built on the original waterfront. Originall built in 1833 and was a prominent landmark on the Singapore waterfront. The market had to be moved from its original waterfront location and rebuilt in 1894, and a clock tower and a new cast-iron supporting structure. The most recent restoration and renovation occured in 2014. This 163-ha reserve includes Singapore’s highest hill, Bukit Timah Hill, which stands at 163 m and retains one of the few areas of primary rainforest in the country. 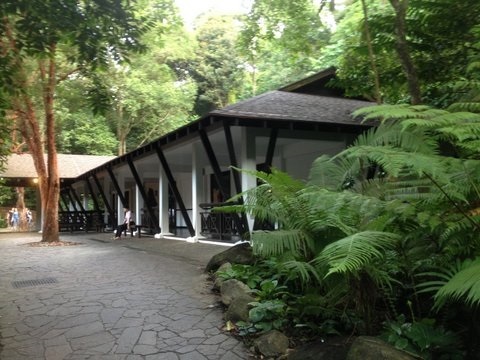 Bukit Timah Forest Reserve was retained for the protection of its flora and fauna under the management of the Singapore Botanic Gardens. The hotel opened in 1887, named after Sir Thomas Stamford Raffles, the founder of Singapore. The hotel started in the 1830s as a beach house and new hotel was built on the site in the 1890s. 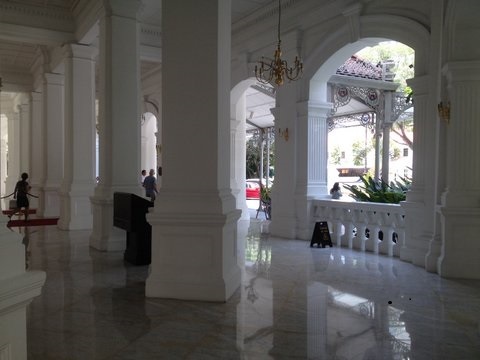 In 1987 the hotel was declared a national monument by the Singapore Government and has since become a five star hotel. The hotel has been the setting for a number of movies and has is a icon in popular culture. On the hill overlooking the Camden town centre is a church building that represents the historic, moral and emotional heart of community. 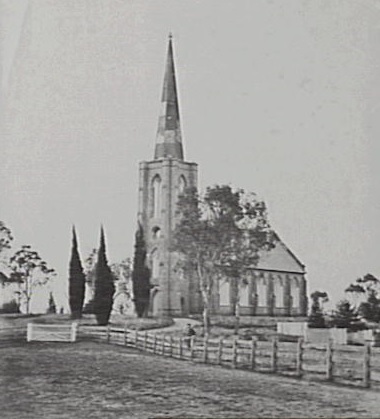 It would not be an exaggeration to say that the church represents the soul of the town, which was built below it on the Nepean River floodplain in the mid-19th century. The church is a metaphor for the order and stability that it represented on the wilds of the colonial frontier. It was at the centre of the original proposal for the English-style village of Camden in the 1830s along with a court house and a gaol. For the Macarthurs of Camden Park estate the church was the centre of their moral and spiritual conservatism. The church, as part of similar early 19th English estate villages, represented stability and order that the Macarthur required of the new community on their estate. More than this the church was a central part of the landscape vistas of the village from Camden Park House. The church cause was promoted by James and William Macarthur and appealed to neighbours and employees for a fund for the construction of the church. By 1835 the Macarthurs subscribed £500 of a total of £644 from estate workers and neighbours. The church and its grounds are located in a religious precinct that includes the rectory and stables (1859), church hall (1906), and a cemetery. 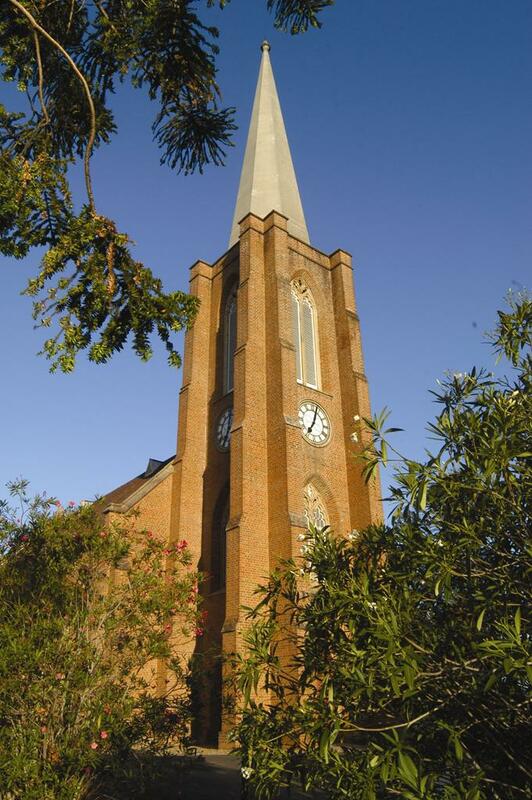 While the church was originally proposed in a ‘classical’ style it was eventually constructed in the Gothic Revival style which became popular in Sydney at the time. Sydney architect Hector Abrahams maintains that St Johns ,was the first Gothic Revival church in the colony of New South Wales’ when finished in 1844. Gothic revival looked back to the glory of the medieval period, in contrast to neo-classical styles which were popular at the time. To its supporters Gothic architecture was representative of true Christian values that were being destroyed by the Industrial Revolution. Gothic architecture was aligned with the conservatism of the Macarthurs rather than the republicanism of the French and American revolutionary wars and neoclassicism. Its popularity was partly driven in the colony of New South Wales by the re-building of the British Houses of Parliament in 1834 which evoked a romantic age. 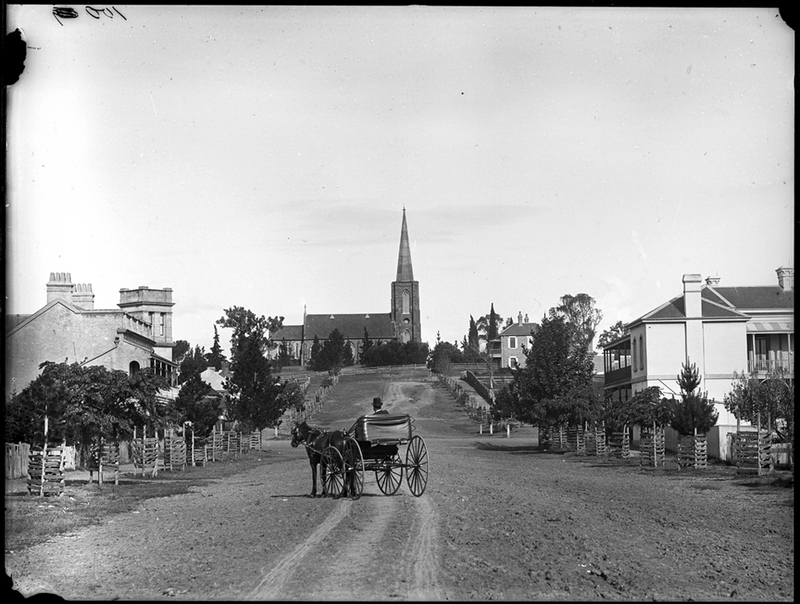 To a travel writer for the Sydney Mail in 1926 the church was the dominant English-style landscape feature on a road trip through the area:. The church has become central to all representations of the Camden township from its inception, and what it means to be born and bred in the district. The church is the fundamental icon is the community’s sense of place and identity. The church symbolism is central in tourism literature, business promotions, stories of the town, its history and a host of other representations of the district. The church continues to dominate the town centre skyline and the minds and hearts of all Camden folk. Here hoping that this continues for another century. 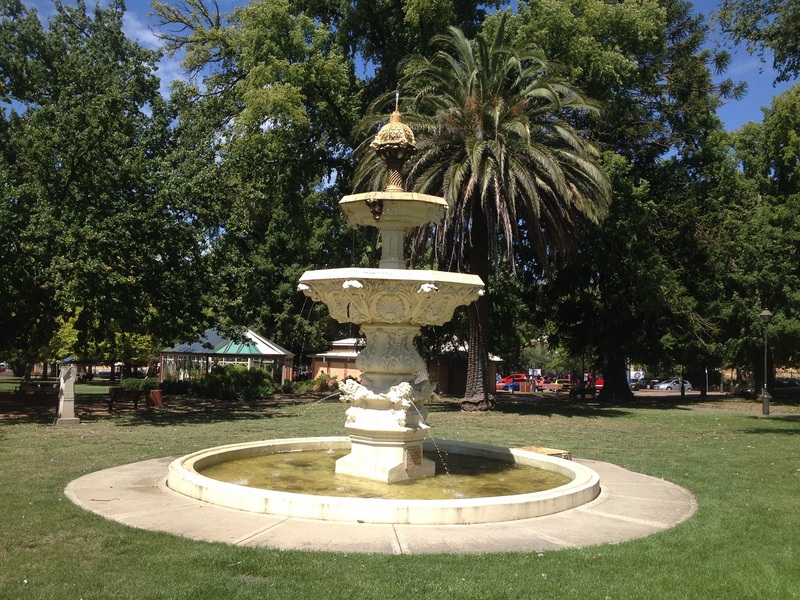 The CHN blogger was recently out and about and re-discovered a lovely urban space in central Goulburn on the New South Wales southern tablelands. 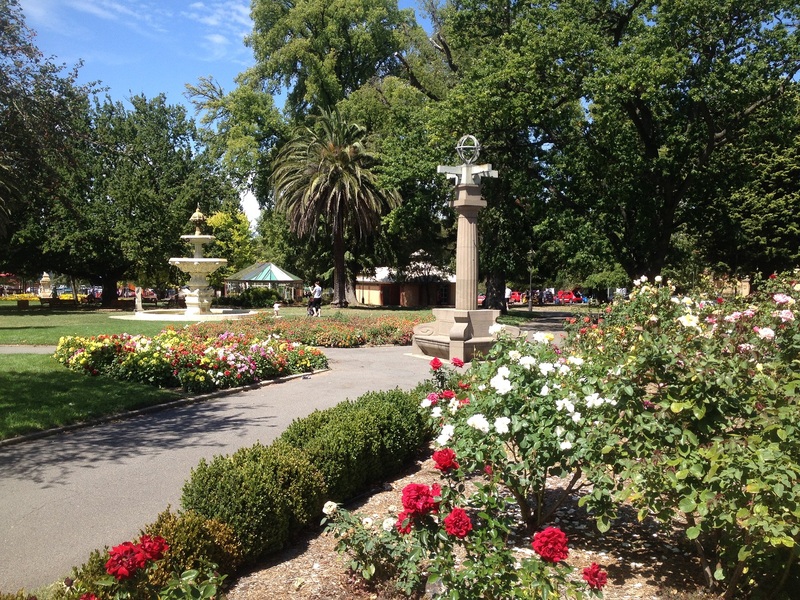 Known as Belmore Park since the mid-19th century the park has a formal symmetrical layout. This is typical of many 19th century Victorian urban parks with paths crossing it on the diagonal for promenading and adding to the balance of the space. 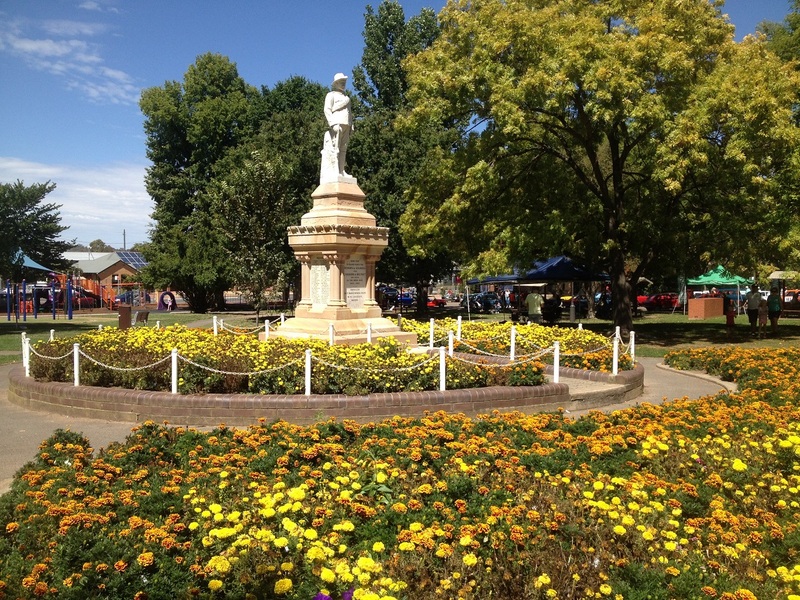 The park is abutted by lovingly conserved 19th century architecture and the Victorian designed railway station which all add to the ambience of the precinct in the town’s heritage centre. The origin of urban parks has been traced to a number of sources. At its simplest is was an open space that became the village green or they were grassed fields and stadia in Greek cities, or they were an open area with a grove of sacred trees. By the medieval period they were open grassed areas within or adjacent to a village where the lord allowed the common villagers to graze their animals. Some were royal hunting parks that date from ancient days where the king walled off a section of forest to keep out poachers. From the 18th century French and British noblemen were aided by landscape designers like Capability Brown to design private parks and pleasure grounds. The Italians had their piazza, which was usually paved. In the UK the establishment of Birkenhead Park in 1843, Central Park in New York in the mid 1850s, Philadelphia’s urban park system in the 1860s and Sydney’s Governors’ Domain and Hyde Park all had an influence. 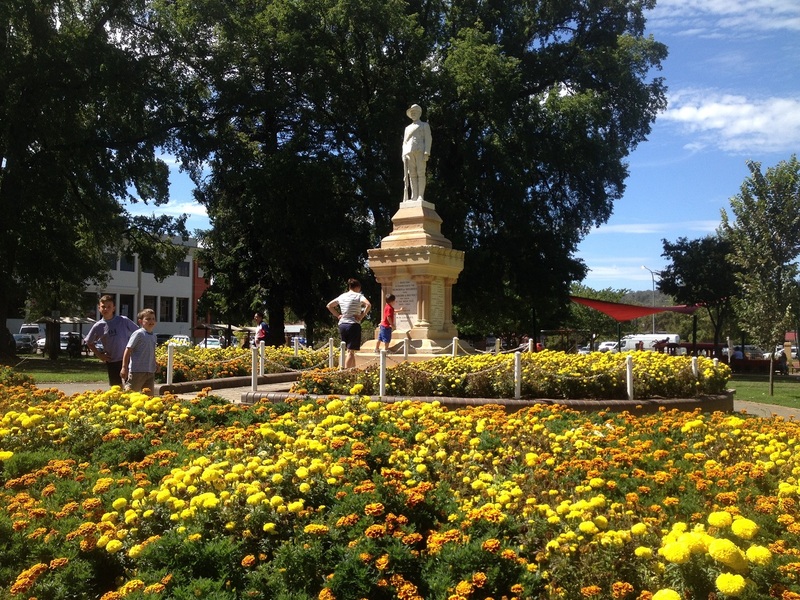 Belmore Park was Goulburn’s Market Square from the 1830s, and renamed Belmore Square in 1869 in honor of the visit of Lord and Lady Belmore on the opening of the railway at Goulburn, and a picket fence was built around the square. In the early twentieth century it was the site of a small zoo, perhaps reflecting the zoo in the Sydney Botanic Gardens or the Botanic Gardens in Hobart, which was part of the notion of creating a ‘pleasure ground’. 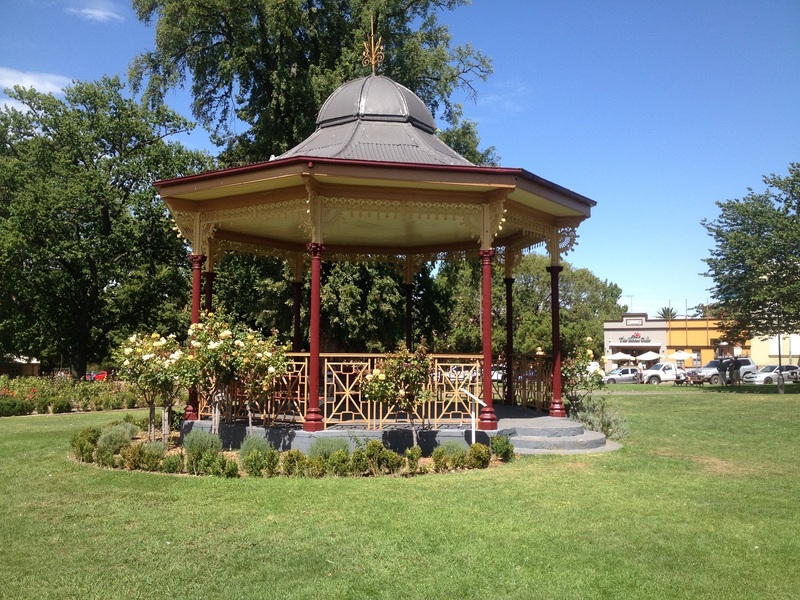 Belmore Square was re-dedicated as the Belmore Botanic Gardens in 1899. 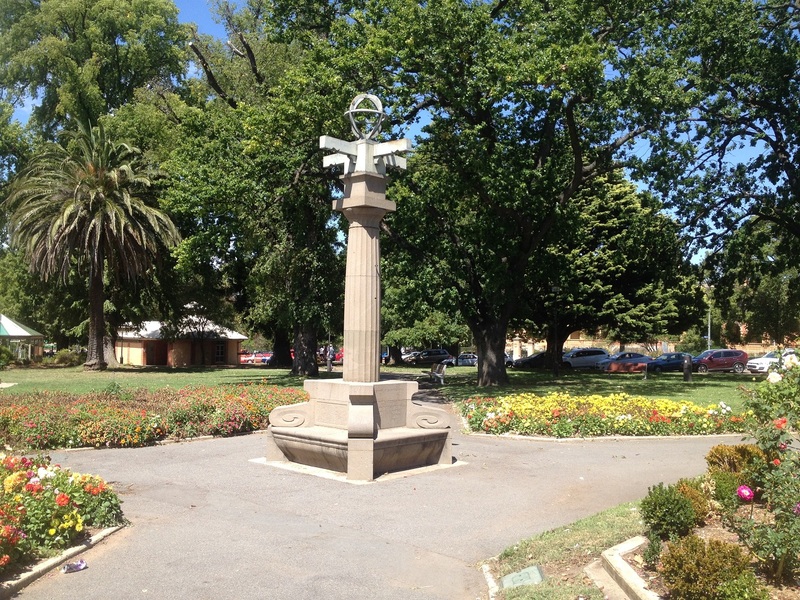 During the 20th century the park became a landscape of monuments and memorials, similar to Hyde Park in Sydney, and other urban parks around Australia.